This must be the most popular Tylercraft model since they show up on the used boat market far more often than any other. 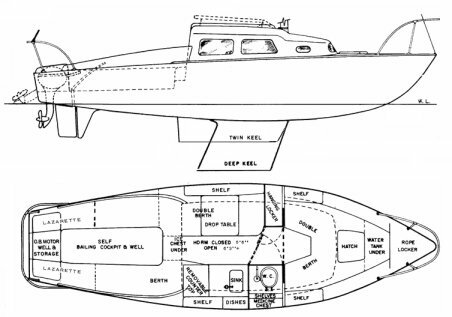 Twin and fin keel versions were available. In 1965, Tylercraft announced that it was offering a 'jet engine', as an option for auxiliary power on this model and that it "used regular gasoline". The claim attracted enough attention that is was actually mentioned in 'Time' magazine. How these worked or if any were ever installed is unknown. 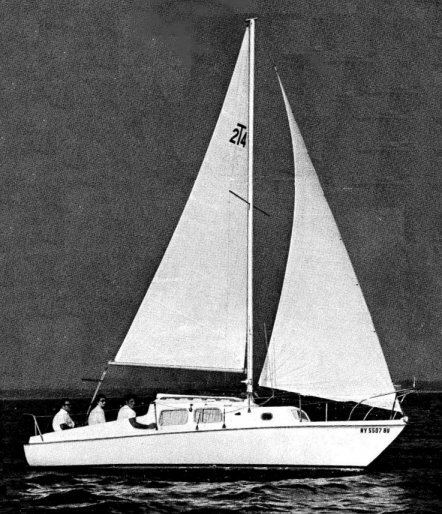 Addendum: I have since learned that Tylercraft was the first sailboat builder (in the US) to offer a Wankel auxilary engine. Although the Wankel engine had been invented many years earlier, it was not well known in the US at the time and was sometimes mistakenly referred to as a 'Jet' engine.